If you're not swimming in oceans of counter space, you may not find the latest and greatest microwaves with their massive capacities all that appealing. It can seem like manufacturers all think that you're looking for a second oven for your countertop! However, smaller microwaves are still available - and you don't have to sacrifice features and power for a compact model. 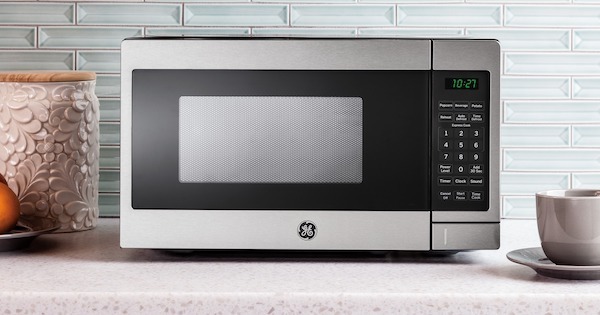 We'll review the three best compact microwave models that customers have reached for time and time again to help you win the battle for more space in your kitchen. These models are listed in no particular order but are numbered for your convenience. Let's dig in! The countertop microwave is a classic small kitchen appliance. 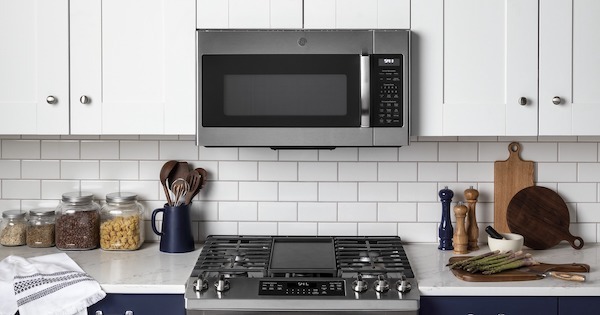 While we've also reviewed the best over the range microwaves of the year, in this article we'll focus on the best countertop microwave models of 2019 from a variety of brands. We cover everything from compact options to large family-size models at prices as low as $120 all the way up to $499. From basic to impressive, we wanted to give you a broad sampling of the best microwaves for your kitchen. Without further ado, let's dig into the best countertop microwaves of the year, complete with pricing, features, and links to real customer reviews! One of the most convenient kitchen appliances found in almost every home is the popular over-the-range microwave, more commonly known as an OTR microwave oven. Many consumers nowadays are looking to have the option of cooking with convection right in their over the range microwave as well. We are going to take a look at the top five models on the market today to see which is the best convection microwave for over the range, but first we'll fill you in on a little background about these products in general. One of the most convenient kitchen appliances found in almost every home is the popular over the range microwave oven, more commonly known as an OTR microwave oven. The OTR microwave has taken the place of the countertop microwave and hood assembly, saving space by combining both products into one handy package. Power capacities can vary from 850 watts for reheating or up to 1,200 watts for cooking full meals. Most of these models are manufactured with a recirculating or outdoor vented multiple speed fan assembly and a built-in light to illuminate the cooking surface below. The built-in exhaust fans will vary from a quiet 170 CFM (Cubic Feet per Minute) to a power-boosting 400 CFM fan velocity to pull odors, steam, smoke, oil mists and heat through the grease and/or charcoal filters. Many models have heat sensors built into the body that will automatically turn on the exhaust fan to cool the components and get rid of excessive heat if it recognizes an overheated interior cavity or too much heat built up from the cooking surface. Let's take a look at the top five models available on the market today and try to identify the best over the range microwave for you. Microwaves have historically come in two basic categories: standard over the range microwaves and counter top microwaves. 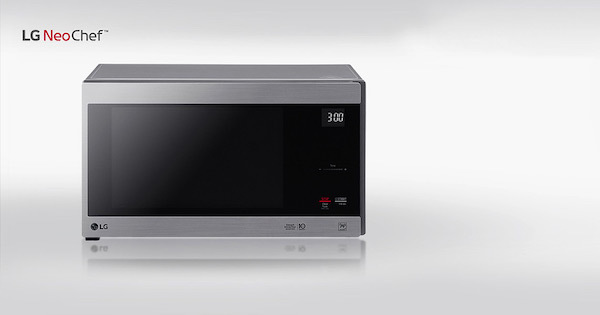 Over the range microwaves are designed to fit nicely above your range and have standard 30" widths. Height-wise, they are typically between 16" and 18" and they generally offer a capacity in the 1.7 to 2.0 cubic foot range. 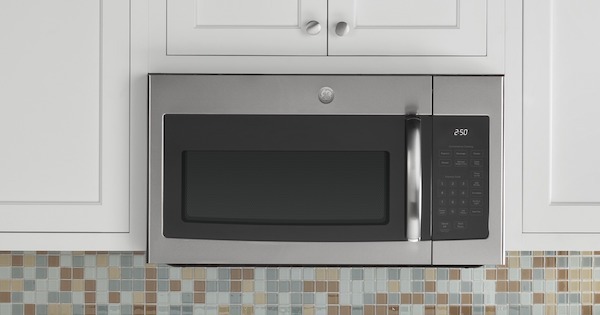 Over the range microwaves are practically standard issue in most modern kitchens and the cabinetry and layout in modern homes generally work well for these products. The dilemma comes when you don't have a cabinet layout that will accommodate and standard over the range microwave. 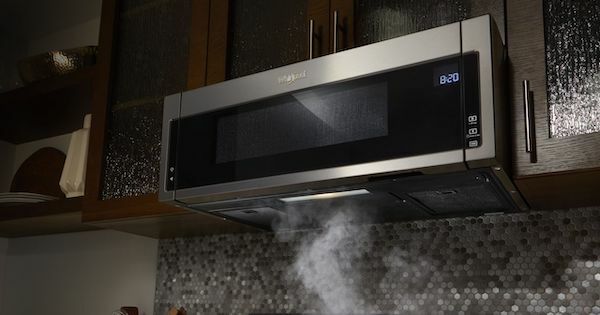 Whirlpool and KitchenAid have have a solution: their newly introduced low profile microwave models are just what you need to solve this problem! LG and Samsung have become two of the top names in appliances in a short time due to their reputation for making great products in the cell phone and flat screen TV businesses. 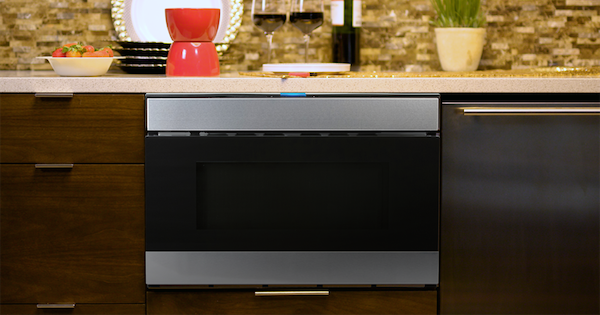 They make innovative, reliable appliances and their microwave ovens are no exception. Microwave ovens are the one appliance that people hate to be without. When the old one breaks down, it needs to be replaced quickly and people sometimes make hasty decisions based on price to replace them. Take a look at some of the great features of these two reasonably priced brands and you may be pleasantly surprised. For most of us, microwave ovens are not only a much-needed kitchen appliance, but also part of our lives as we rely on their quick heating and cooking capabilities throughout our busy and fast-paced day. Whether we're cooking full meals or simply reheating our coffee, we depend on their quick response - And if they were to fail on us, pandemonium! Okay, so it’s not that drastic, but it can become a burden, and a downed unit will no doubt need to be replaced. Frigidaire and Whirlpool are well-known name brands that have been manufacturing quality products since the early 1900s. 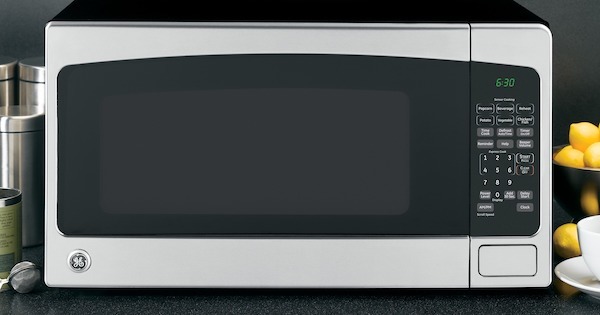 Let's take a look at microwave reviews for two top sellers from these famous manufacturers.